So why haven't I learnt to drive before now? Simple really, because I was a young mum - I had my eldest when I was just 18 years old. Instead of learning to drive and buying my first car I was buying a different first set of wheels for myself - a pram! Being such a young mum I didn't have the time or the money to learn to drive when I was younger. There have been opportunities over the years where I probably could have learnt to drive, when my eldest started school and I had time off work, or when I was on maternity leave with my middle child. Something always came up through that stopped me, as is always the case, although maybe it was just my lack of confidence holding me back. Well, a couple of things really, all three of my children are now in full-time education and I am a stay at home mum/ blogger. For the first time ever I actually have free time during the day with no work to go to or child to care for. Being able to drive would make life so much easier too as the children have after-school clubs which are a nightmare to get too when the other half is at work and I have to get them there. Plus the main reason is that my eldest is 16, she will be learning to drive herself very soon. She has already had a few young driver lessons in preparation and I have a feeling she is going to pass her test pretty quickly. I don't want to be left behind, If my teenage daughter is going to be driving soon then I really should get a move on and learn myself. So I applied for a provisional licence, booked some lessons and I am learning to drive. However, lessons are so expensive and I think its safe to say I think I will need quite a few. However, with my wedding coming up soon we don't have a lot of spare money for driving lessons. So when I heard of Veygo a short-term learner driver insurance provider and was offered to try it out, I thought this would be ideal in helping get me on the road once and for all. My dad recently retired and I think he is a bit bored, so he is the ideal candidate for helping me learn to drive. I was expecting learner driver insurance to be really costly but with Veygo it is not at all and it was so simple to get cover. To insure me on my dads Audi A3 for one week is only £33, which is about the cost of one two-hour driving lesson, but with a weeks insurance, I can have multiple practice lessons from my dad. Veygo is a new short-term learner insurance provider by Admiral, arranging insurance is so quick and easy too - it literally took me 5 minutes. Arranging cover was all done online, I just need to put in my own details and a few details about my dad and his car and that was it, I had my quote instantly. 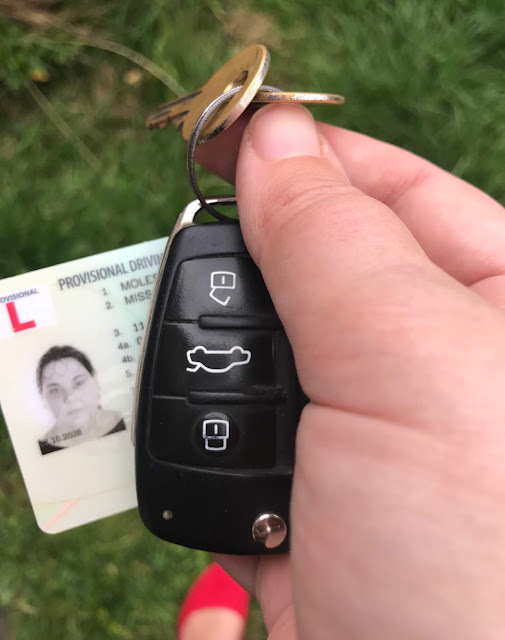 You can arrange cover from two hours up to 90 days, ideal for learners drivers like myself who just want to have the odd lesson in a friend or relatives car between professional lessons. The DSA recommends learner drivers have 22 hours of private practice in addition to lessons with a professional instructor. 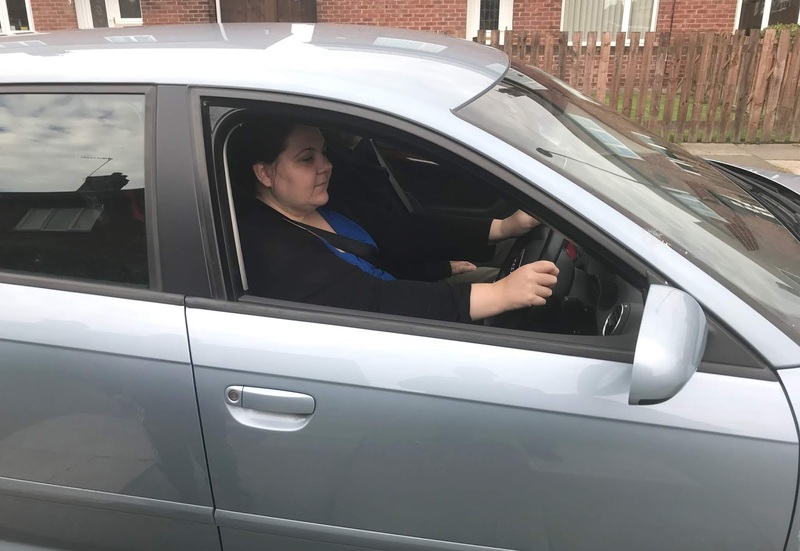 A recent survey carried out by Veygo found that 90% of their learner drivers insurance customers said private practice helped them to pass their driving test. So as well as cutting the cost of learning to drive it also helps you feel more confident ready for your test. I have been trying out Veygo insurance for the past few days as I have been practising in my dad's car and I am already feeling much more confident behind the wheel. My dad is also happy as even if I did have an accident or damage his car (fingers crossed I don't) then his no claims bonus would still be unaffected as the policy is fully comprehensive and works in addition to his own insurance policy. With the extra practice alongside my driving lessons, I am hoping it won't be long before I pass my test and can drive before my teenage daughter beats me to it. I am sure we will be using Veygo again on my dad's car once she starts to learn to drive as the extra practice really does make a difference and helps when learning to drive. Disclosure This is a sponsored post in collaboration with Veygo and Mumsnet. This is something i really need to do, i failed 3 times when i was 18 and gave up! Well done you!! I learnt to drive in Denmark and have never really done it here despite having lived here for 9 years. I really want to relearn. I am learning to drive too and in my thirties. Hoping to pass in a few months. Good luck! Veygo sounds like a great provider of insurance for learner drivers. Good luck with your test! Best of luck with your lessons and eventually your test. Don't be disheartened by your age. I didn't start lessons until I was 30 and will only be 10 years driving in January so don't worry. That insurance sounds like a brilliant option for learners. I could see it being even more beneficial in the week before some has their test so they can get as much practice in as possible!